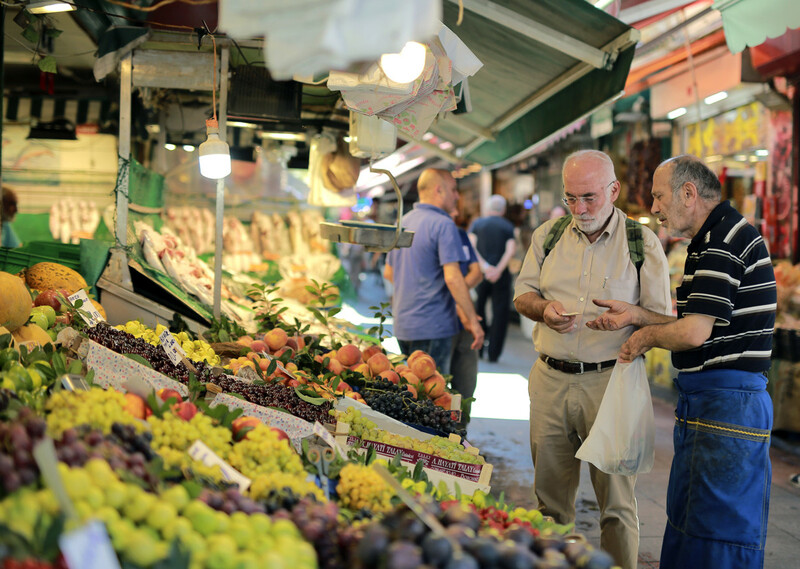 As TURKEY’S economy continues to bleed profusely, the Istanbul Chamber of Commerce (ITO) has announced the mark up of 112 products in a move that will negatively affect local bazaars’ food prices. The announcement was made on Friday. Last month, the retail price of 112 products in the Istanbul Producers Cost of Living Index of ITO increased, while the price of 57 products dropped and the price of 73 products remained unchanged. Other shocking increases were: spinach at 64.96%, cucumber at 45.39%, tomatoes at 41.32% and cauliflower with 40.18%. In terms of clothing, the prices in men’s shirt, women’s coats and blouses decreased in the same period, according to ITO. The Turkish Statistical Institute said last month confidence in Turkey’s economy slipped month-on-month, falling 4.2 %. The annual food inflation has been near 20%. Turkey’s President Recep Tayyip Erdogan, seemingly holding markets to account for a price increase, urged Turks in January to report stores that imposed unusual price hikes during the currency crisis. “We will not abandon our people to the mercy of opportunists. Turkey will impose fines on those,” he vowed. Erdogan sharply criticized grocery stores for excessive increases in eggplant, which saw the highest hike in December. “While interest rates, inflation are decreasing, the prices of vegetables and fruits have still not fallen. If there are those who continue to exploit my people, this is our duty to bring them to book and we will do,” he said. Following Erdogan’s criticism, the chain groceries stopped selling eggplant and hot pepper. Turkey’s municipal police declared war in November against the inflation, right after Erdogan had called for a crackdown on price hikes, according to a Bloomberg report. Officers compared price labels with prices at the cash register in Istanbul during their visits in many markets. Many citizens argue the problem is not boiled down to high food prices in groceries but they are expensive too, in the bazaar, according to a report by Deutshe Well. “We agree with Erdogan that food prices are very high, but does he have any idea where we can find cheap food?” a woman shopping at a local bazaar in Istanbul sarcastically asked a Deutshe Well reporter. “President gets angry with groceries, but in one year, the price of plastics bags doubled. Oil prices are getting higher. Getting angry with grocery stores is not a solution,” a stallholder reacted.